Welcome to wellness week! 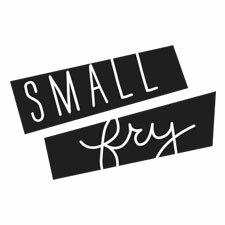 With a fresh new year ahead of us, we wanted to focus on creating healthy habits and best practices for ourselves and our kids! A huge thank you to Jylare Smith Photography for these beautiful images, she shoots in Utah, Idaho and California and is a real artist! Emily’s two-year old, Hayes, is a pretty picky eater. If you have one of these at your house, you know how frustrating it can been to get them to try new foods, let alone feeding them a well-balanced diet. A little over a year ago, she started juicing fruits and vegetables and to her shock, Hayes loved it! The secret combination for their success was to let Hayes drop the produce in, use the presser, and give him a fun straw to drink it with all the while making a huge deal about how awesome it is that he made this juice, and please can mama try some!? The thing that makes juicing so great is that it really is delicious, so it’s not hard to convert your little ones. On top of that, knowing our kids are getting a full cup of fresh fruit and vegetable juice means we don’t have to fight so hard during meal times. Their favorite combination is apples, pears, carrots, beets and some sort of leafy green like spinach or kale. It’s mild and sweet and the color is totally enticing to kids! Since Hayes has free reign to throw it all in, it’s always a different “recipe” and it’s pretty foolproof. They keep it interesting each day and throw in whatever is around! Another great feature of juicing is that you waste less produce. It rarely goes bad because before that point you can throw it all into the juicer! (Update: Emily uses the Breville Juice Fountain Elite and loves it. There are also $100 (or less) options made by Breville and Omega that have great reviews! Here’s some kid tested and approved recipes to try! All of these recipes can have any handful of leafy greens added to them as well. Kale is the most nutritionally dense, full of fiber and vitamins, and more calcium than a cup of milk, but it’s got an undeniable flavor to it as well. Emily’s trick for this is to add lime with the peel on it. The citrus cuts through that kale flavor and you can hardly taste it! Photo Credit – Jylare Smith. no joke, i’ve been on pinterest for 20 minutes looking for good juicing recipes to try for my 3 year old… i got overwhelmed and stopped looking, and then saw your post update on my little blog reel- GOOD TIMING! 🙂 we’re getting a juicer this week and i’m definitely trying these out! thanks! I really interested to know people’s opinions about juicers. It seems like quite the investment up front especially if you are just trying it for the first time. Tips, Suggestions? maura, i was one of the first time juicers, skeptical to dish $$ on this thing i wasn’t sure i wanted to keep up. i was referred to walmart (!) for the $50 GE juice extractor. I’m not sure it’s still available, but if you find something with comparable specs, know that one that cheap does just fine. I’ve put every imaginable fruit and veggie in it and it’s held up just fine, one year later. Hope that helps! Maura, I’ve been debating about whether to buy a juicer or a really good blender, and I actually settled for a Ninja blender. I’ve heard that the pulp and fibers of the fruits and veggies are healthy too, and I wouldn’t want to filter those out. My Ninja actually does a decent job of blending everything smoothly, and the drinks are nice and thick! I have an Omega VRT350 juicer, a little bit expensive but worth it. This is a masticating style juicer with a vertical design that enables you to get more nutrients out of your food. It has low speed which will help to reduce the oxidation unlike many other juicers. I like it very much and don’t feel I waste my fruits and vegetables. I would love to start juicing but haven’t. I love to put fresh beets in my smoothies though! I love knowing that at least some point of the day we get a nice helping of fresh organic veggies. Looks healthy! We bought an Omega juicer with our Christmas money this year (found a great deal on Amazon). We have been juicing lots of veggies and fruits since and love it. It’s been a great way to sneak in more veggies to all of our diets (we have 4 kids). Love this post! Inspiring…amazing how seeing all the gorgeous colors of the produce, and the beautiful skin and bright eyes of smallfry who has been getting nutrient loaded juice every day for a year, brightens up a dreary winter day! PS Helps, for a boy, that the Breville juicer sounds like a high performance race taking off! 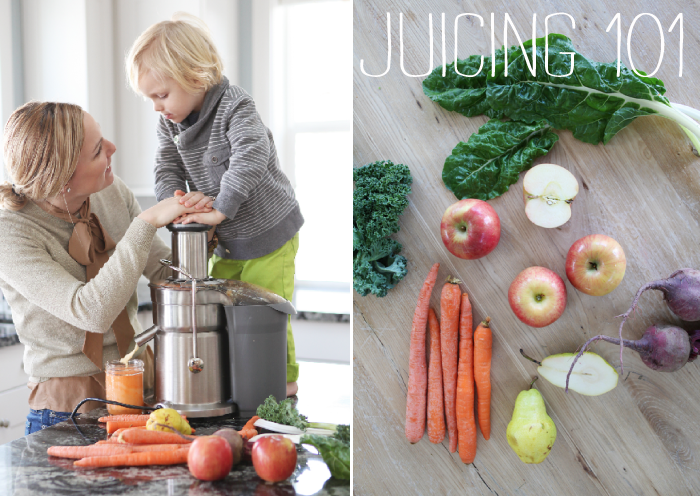 Love the fun ideas for juicing with kiddos. The juice looks lovely! My 2 year old hates vegetables so this will be a great way to sneak them into his little tummy! I’m so excited, I literally put together my juicer this afternoon. 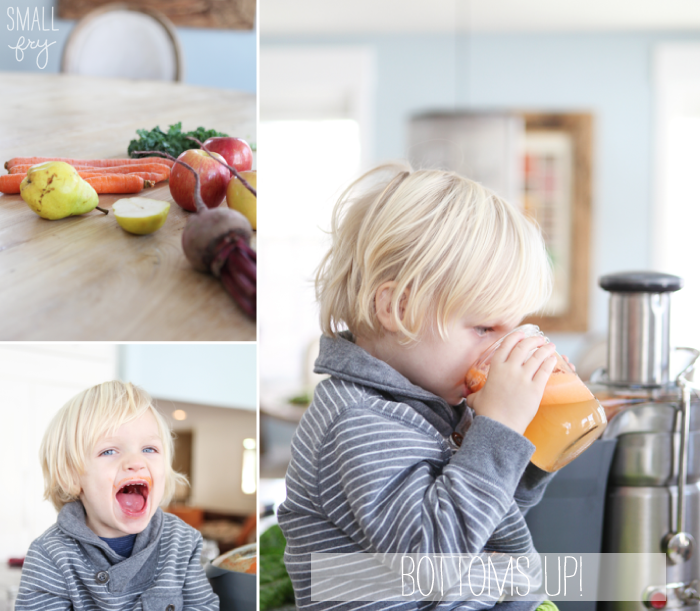 I cannot wait until my little dude wakes up from his nap so we can try some fresh juice! Thank you for posting this! Amanda, another way you can sneak veggies in throughout the day, is to throw the pulp into whatever you cook/bake. Cookies, muffins, meatloaf… If you have a dehydrator you can make wraps or chips and also fruit rolls. You can’t really taste it but yet it adds a little extra (hidden) nutrients. Happy Juicing! That’s a great idea! He loves fruit snacks! I also have the Hamilton Beach “big mouth” juicer and I love it. It works great and was only $60. I’ve found most things you juice taste pretty good as long as you throw an apple in to make it taste a little sweeter. I purchased a juicer a few weeks ago and I’m not sure about the juicing process. Can you put the whole fruit (skin to seeds) in or do you need to peel/chop? If you value designer [url=http://isabellemarantchaussures2013.devhub.com]isabelle marant pas cher[/url] and also have several laying around the house the best associated with both worlds with consign [url=http://saclongchamppliagesolde.devhub.com]longchamp pas cher[/url]. The best thing regarding consignment [url=http://sacsmichaelkorsfr.weebly.com]sacs michael kors[/url] created on your sales and purchase other designer [url=http://guessfemmefr.weebly.com]guess femme[/url], which means you obtain a certain percentage of the purchase from the [url=http://longchamppascherfr.weebly.com]longchamp pas cher[/url] they handle all of the facets of selling your own purse for you personally. The advantage in order to using a consignment shop.